Working as a freelance writer has a lot of advantages. You can work at your own time and space, and earn a relatively significant amount of money. With the continuous growth of technology and demand for independent professionals, this can be a promising career. If you want to start making money online, then the first thing you have to do is to learn how to start freelance writing. Before we talk about specific strategies that you can use, I wanted to discuss the pros and cons of being a freelancer. I started my online journey as a freelancer, so I speak from first-hand experience. What Does Being a Freelancer Entail? Flexible schedule. Especially important if you have kids. Amazing for night-owls. You save money and time. No office suits, no transportation costs, no traffic. Hourly rate might be higher than at a standard job. If you have enough clients, you feel confident about tomorrow. Working from any part of the world. All you need is your laptop and the Internet. Often times, one’s journey to online success starts with freelancing. You’re your own boss. Therefore all the work-related expenses are on you too. You’d have to compete with other freelancers for a (writing) gig. It’s still a job, not a passive income. If you have sick days, then you’re not getting paid. You’re responsible for your taxes. Sometimes, living with family can distract you from work. In any case, earning money while working from home definitely sounds good to many. How to Start Freelance Writing: 5 Easy Strategies! Starting a freelance writing career looks easy. “You just have to search for an agency, sign up on online freelance platforms, accept content projects from job boards, and you earn money. You can work on the beach, write about niches you like, and get paid”. The truth is, it is a lot more complicated than that. What is good about it, though, is that freelance (article) writing is in high demand, which makes it worth it. I mean, it can be a good side gig for students and full-time employees alike. Now, if you are eager to break into the business, here are some effective ways to do it. 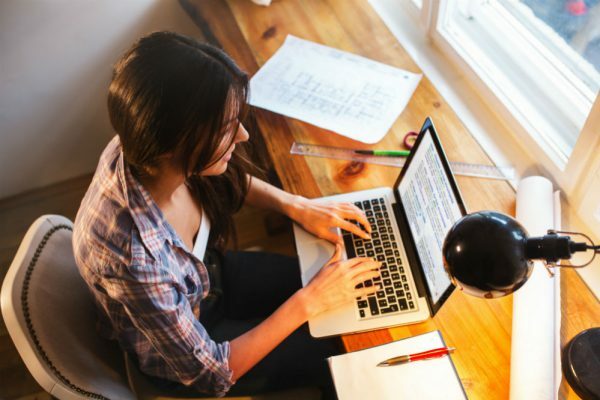 Starting a career in freelance writing is not an overnight feat. What kind of articles are you going to write? Are you as good as the other freelance writers? If not, how can you improve? 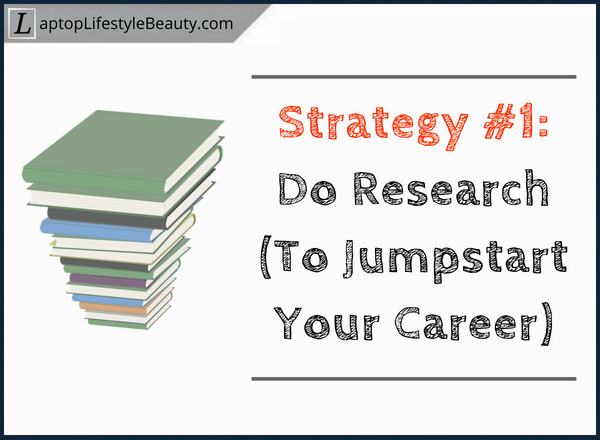 To help you answer these basic questions and jumpstart your writing career, you need to do some research. When you research, you will find other freelance writers, read their websites and outputs, and the kinds of articles they write. You will also learn about the skills that you need, tips to land good writing gigs, and how to set your rate. A website or blog is a perfect platform where you can showcase your sample writing outputs and explain to prospective clients your background and writing niche. Basically, it’ll serve as a portfolio of your past writing projects and even the things that you have not written yet for a client. 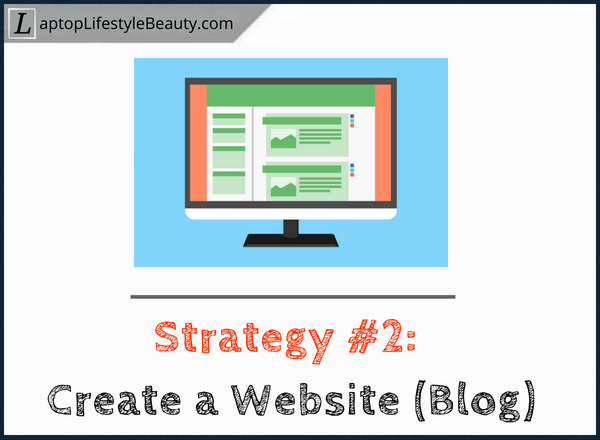 Now, setting up a website or a blog is easy, no technical skills required in order to do that. You definitely don’t have to be a computer programmer or hire a web designer to do it. … But I know the right tools and services to build one for me. Your website or blog should primarily show your experience as a writer. No matter how recent or short your writing experience is, you can include them on your website. You might have done an internship in a local publication, worked for an online-based journal, or wrote guest posts in a fellow writer’s website. Showcasing your diverse writing experience will significantly help your prospective clients know more about you and help you land a writing project. Volunteer for a writing project for non-profit institutions. Do a guest post to other websites or blogs. Create a flawless article about the subject that interests you and convert it to a PDF file (so others can’t steal your work). Find some of your well-written paper from high school or college, give them a good polish, and publish them on your website or blog. Personally, I’ve made a mistake of not using this strategy. If only I knew back then just how simple website building is! 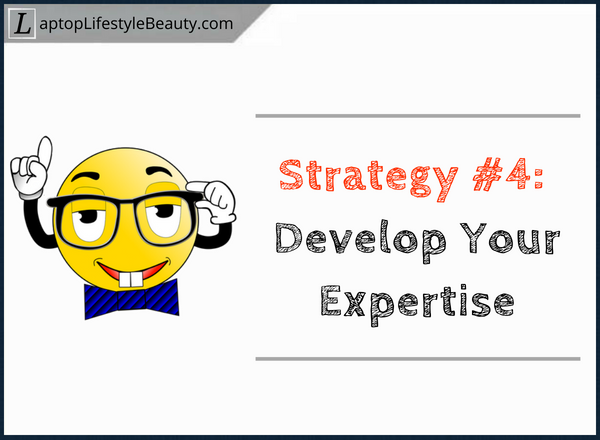 Another strategy is to improve your expertise. If, for example, you worked as a technical writer for a corporation or as a staff writer for an IT company, you would excel in writing gigs under these respective niches. Don’t despair if you don’t have credentials as a writer, you can still join the business. For instance, if you worked as an accountant and you understand the jargons in the profession, then you can excel at business writing. Employers also hire freelance writers who are adept at social media platforms. These are useful skills that are deemed necessary in landing a writing gig. More often than not, employers post their job openings on online websites such as LinkedIn and Indeed.com, so make sure that you are also present in such platforms. 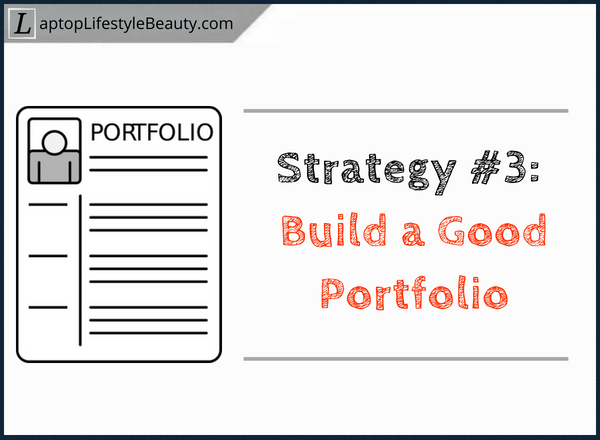 Once you have set up a good portfolio and have honed your skills, you can start looking for jobs and prospective clients. You can search at job boards, freelance online platforms, and e-mails. LinkedIn is a perfect place where you can network with fellow writers and prospective clients. Make your profile professionally eye-catching and join the groups in your niche. Employers looking to hire freelancers will likely notice your profile, which increases your chances of getting hired. Developing a 30-second statement about you will attract people’s attention to listen to you. Always be ready with your statement when someone approaches you and asks what you do. Instead of telling them you are an experienced content writer, you can say that you create interesting articles that make websites shine. Make sure that you also have a business card to give them, so they know how to get in touch with you. The use of social media, such as Facebook, Instagram, and Twitter, to pitch in writing jobs is a longer approach. Creating a social media profile that shows your niche and prospects will boost your bio as a freelance writer. More than that, you can also network with other freelancers in the field, follow them, and share contents related to your niche. Important: Continue Learning to Improve Your Skills! Just like any other profession, freelance writing requires continuous learning and honing your skills. Anything on the Internet evolves rapidly. Improve your writing skills and focus on writing high-quality articles. 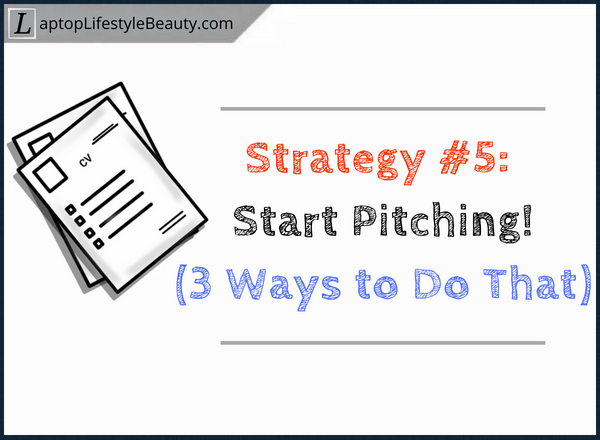 Learn from experienced writers, business strategies, and pitching tips. And you’re likely to succeed (at anything, really). Freelance writing is a promising career in the 21st century. It has a lot of advantages from working at your own time and place to earning a high amount of money. 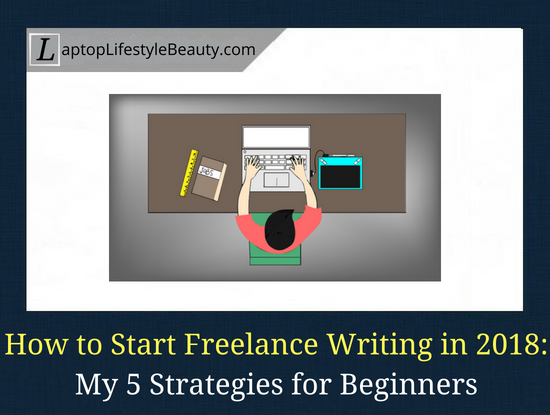 However, learning how to start freelance writing requires patience, hard work, and smart strategies. First of all, you need to have the passion for writing. You need to be enthusiastic about playing with words in order to turn them into an interesting, worthwhile content. It is also important that you know the jargons of a specific niche, such as business, accounting, and fashion. Now, it takes a while to master the art and expertise of freelance writing, but once you have it, employers and clients will be the ones to approach you for projects. Your Thoughts on Becoming a Freelancer in 2018? Are you serious about pursuing this as a career? What are your thoughts on this article? Do you feel that you’re ready to start freelance writing in 2018? Earning money from home is pretty amazing, that’s for sure. Anyway, would love to hear your thoughts in the comments! (Click to jump straight to comment form).